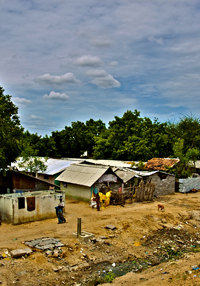 This report is Verité’s latest study on the Sri Lankan government’s commitments on reconciliation and accountability. 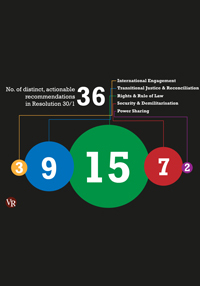 The report assesses progress in the fulfillment of 36 commitments made in UNHRC Resolution 30/1 (co-sponsored by Sri Lanka) and in the implementation of 189 recommendations of the Lessons Learnt and Reconciliation Commission (LLRC). This report analyses the legal and policy frameworks applicable to domestic workers in Sri Lanka. The report uses global standards of decent work to offer a fresh perspective on the problem and aims to outline a strategy for sustainable reform in Sri Lanka. 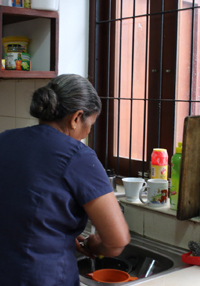 Verité Research recently conducted interviews with 22 members of civil society organizations to assess the quantity and quality of research on the subject of domestic workers’ rights in Sri Lanka. While measuring and evaluating current literature on domestic workers, this report sets out a four-pronged hypothesis on why domestic workers’ rights have not featured on the civil society agenda in Sri Lanka. LLRC Implementation Monitor: Statistical and Analytical Review No. 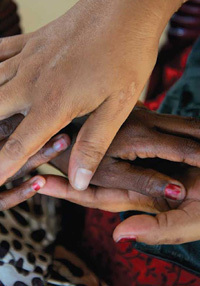 3 is Verité Research’s latest study on the Lessons Learnt and Reconciliation Commission (LLRC). This report is the outcome of twelve months of monitoring the implementation of the LLRC’s recommendations. 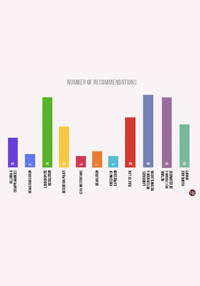 The report examines in detail the implementation status of 189 LLRC recommendations. It also provides an initial quantitative analysis of 563 complaints made before the LLRC during its public hearings.